The second nectarine rose above all other fruits with Earle’s superior music triv talent we became a crew. 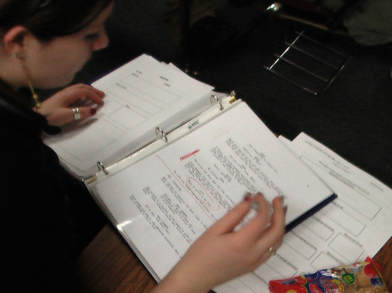 Since then, we’ve been doing typical preproduction shenanigans: writing shot lists, scheduling, and rewriting the script. Gaffey came through and brought in Mary Poppins so we were able to examine the magic they preformed before the more sophisticated editing software and special effects options we have today. We also watched A Night Mare Before Christmas to examine their superior use stop motion, which is a way of filming objects to make them look like they are moving. Although the magic in this movie will be one of our biggest challenges were very excited to try out different ideas. We also have our entire crew casted with only a minor issue with Justin Flynn who for about a month thought he was going to edit instead of play the movie’s dork Eddie. Other than that small mishap Nectarine is going strong.